Brandon Boyd may be primarily known as the lead singer for a successful US rock band called Incubus, but this musician has also proven that he possesses a bit more talent in his arsenal than one may expect. He is also a painter and a draughtsman with an incredible ability to portray characters that are all but ready to spring right from the page. His artistic vocabulary is based somewhere between subtle abstraction and figuration, a true compromise of magical and understandable. Technically, Boyd demonstrates controlled lines and fine touches of color, showing great confidence in his work. Interestingly, the author himself explains that his drawings mostly create themselves, carelessly leaving the pen as Brandon simply enables them to leave their vessel. 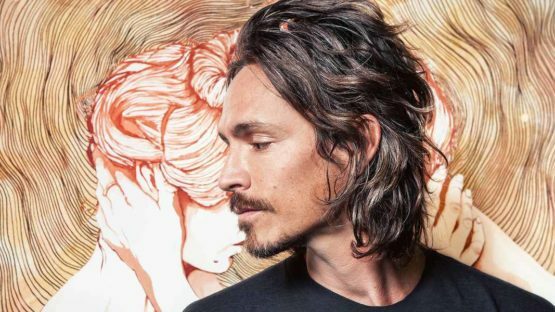 Brandon Boyd grew up in Calabasas, California, and was lucky enough to be blessed with parents who supported his artistic tendencies ever since he was a toddler. Many members of his family had roots in music, such as his brother Jason and cousin Sam Boyd, so it was a surprise to no one when Brandon decided to pursue a similar career. Boyd graduated from Calabasas High School in the year of 1994 and later attended Moorpark College for two years before committing to his rock band Incubus. Brandon himself designed concert fliers advertising their early performances and this was one of his earliest painted pieces, although he was much more interested in music back then. As the Incubus was making a name for itself, Boyd started to be noticed both for his unordinary talent and the habit of introducing unusual instruments into his songs, such as the didgeridoo and djembe. This kind of variety and willingness to experiment will prove to be a pivotal character in the years to come, especially in Boyd’s artistic arts department. Incubus‘ first two releases, Enjoy Incubus and S.C.I.E.N.C.E., were largely unnoticed in the mainstream, but subsequent releases of Make Yourself and Morning View were deemed as commercial successes. As of this moment, their last release was in 2016 when Incubus completed their studio work called If Not Now, When?. Since the forming of Incubus, Boyd was in charge of many creative decisions concerning the band and that did not limit to musical solutions. He wielded cameras and other artistic tools during that time, effectively working as a photographer and a painter for a very long time. Starting with 2008, Brandon decided that he will try and push himself onto the artistic scene with his artistic arts, making it a priority from that point on. He celebrated the opening of his first solo exhibition on the 8th of September in 2008. This show was called Ectoplasm and was held at the Mr. Musichead Gallery in Los Angeles, California. Right of the bat, the author displayed how his art was able to be enchanting. Colorful characters, captivating colors and fine lines – all this and more was in Boyd’s arsenal right from the start. As he was honing his craft, Brandon soon started to use his pieces as a tool for activism. Since then, he was a part of many different groups and solo art shows and he used his artworks mostly as a means for environmental activism, although other aspects of our modern societies concern him as well. It should also be noted that Brandon Boyd has written three books so far: White Fluffy Clouds: Found Inspiration Moving Forward, From the Murks of the Sultry Abyss and So The Echo. 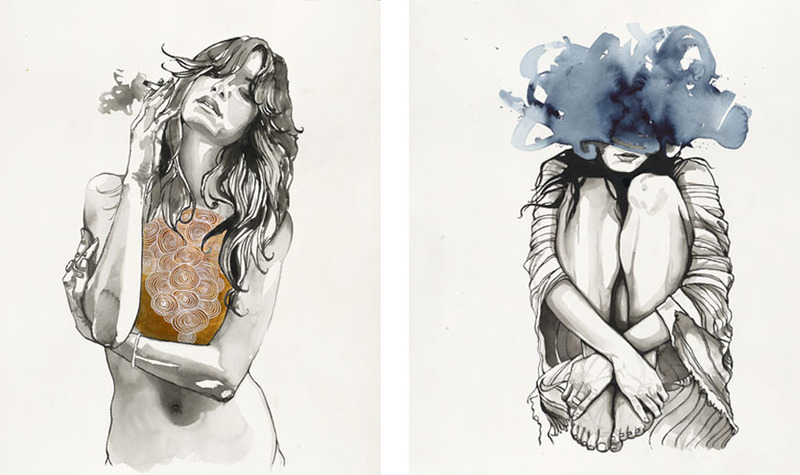 When one considers the level of ability Brandon Boyd presents the viewers via his evocative sketches, it’s truly mesmerizing that he’s been dealing with professional art making practices since 2008. It makes you wonder why he did not present his artworks for a much longer period than that, although they would probably not be quite the same if that was the case. However, we are now able to enjoy his whimsical figures which can be interpreted as a result of Boyd being inspired by lyrics and quotes, virtually making his artworks a visualization of the music he hears. This kind of interpretation opens up a whole new chapter of discussion as it’s interesting to associate Boyd’s painted art with his musical pieces, analyzing them on similar terms. Brandon Boyd lives and works in Venice, California, United States.